"PLEASE CHECK OUR FEEDBACK FROM PREVIOUS CUSTOMERS"
The Sidekick 2008 features a large 2.6-inch LCD screen that makes web browsing and photo viewing easy on the eyes! When the screen swivels around, it reveals a QWERTY keyboard, multi-color LED trackball, speakerphone and more so you can make a call, text, email and much more with ease! Capture the moment with the 2.0 megapixel camera and share your pictures with friends and family via email. The PV210 features video recording and playback functions so you can capture all the action.Take advantage of Bluetooth v2.0 Wireless Technology to wirelessly share photos, videos, or music with your friends! To keep yourself entertained, the PV210 features a media player with support for MP3, WMA and MPEG4 files and pre-installed with Bob's Journey game. Storage options are provided with the built-in 64 MB flash memory (128 MB RAM) or you can add more with the included 512 MB microSD flash memory card. Plus, it comes with a replaceable outer black shell! 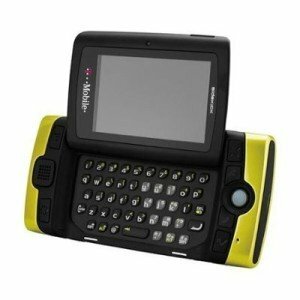 The Sidekick is the ultimate communication device, featuring e-mail, messaging, Web browsing, camera, as well as full voice service. Works With ALL GSM Providers Worldwide! "Please Allow 24 Hours For All Email Responses, We Are Closed On Weekends." The new Sidekick is better than ever, with enhanced Web browsing plus video recording, playback, and sharing capabilities. All the features you know and love are here "best-in-class IM, texting, e-mail, and phone; the cool swivel screen; and a high-quality camera. And it's a quick-change master, with fully customizable shells that snap on and off to match your outfit or your mood. Size: 4.7 x 2.3 x 0.7 in. We only ship to confirmed paypal addresses. Please do not contact us requesting we ship to a different address.